I am building a 33 hot rod with a 2017 coyote and tremac tko600, electric steering, ron franciss wiring harness (RF) and autometer gauges. I received my kit 6/18 and was able to fire it up for its first go-cart on Christmas day. The Coyote runs great! I thought i would share some wiring info for the guys doing a coyote after me. My wiring for the sake of the first start is just temporary, so please don't judge based on the photos, now that I know it runs I can go back and redo it correctly. I found some of the wiring confusing because the kit comes with the RF wiring harness and the coyote comes with its own harness, which in some instances conflict with each other. The mega fuse was confusing so i put a pic in here labeling how i ran the cables. same with starter and alternator. on fuse F4 pull the fuse and find out which side is hot with key on (wire also connected to relay #1) i cut the grey wire just past the fuse and hooked up red to hot side and red/green to wire that runs into harness (goes to pcm). Do not tap the purple tach wire into a coil wire as per the instructions from Factory Five, it is not needed and doesnt work with autometer gauges. simply connect grey wire from adapter to tach and set dip switches to 8 cyl. 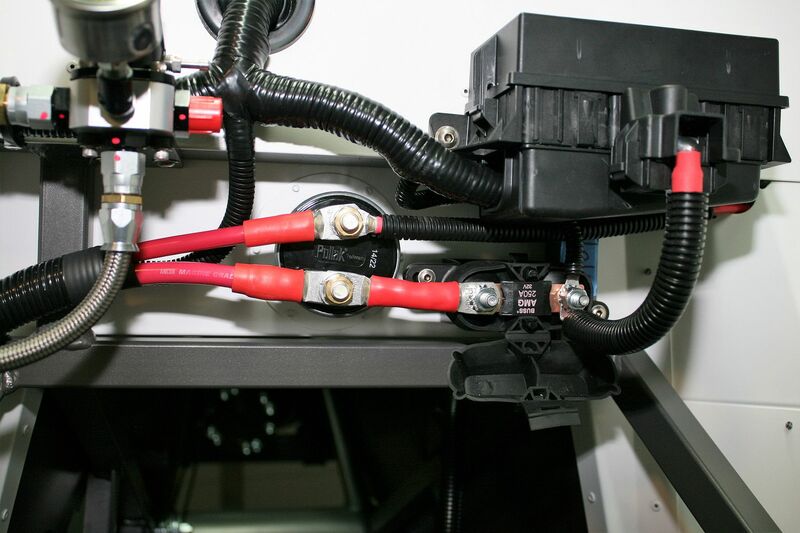 speedometer does not use transmission speed sensor so the green and grey wire in dash harness is not needed, the green and grey wire that comes out of the coil/crank harness is what you need to use. green to speedo and grey to ground. speedo will work but will need to be calibrated, just follow instructions from autometer. Also, be warned, I had a problem with the clutch safety switch preventing the starter to engage at first, turns out it was a bad connector on the wiring harness. Does the mega fuse come as part of the kit? Just to make sure there's no confusion -- the mega fuse in question is part of the Ford Performance Coyote controls pack. Which also includes all the other parts required to make the crate Coyote a runner. Computer (PCM), wiring harness, power distribution box, accelerator pedal, O2 sensors, etc. Could be called a kit I guess. But just confirming the Coyote mega fuse is not part of the 33 hot rod kit from Factory Five. On your anniversary build, page 230 you have a close up pic of your mega fuse. My question is; you have two connections on the side that goes (powers) the pdb, one obviously goes to the pdb, what is the other one, and where does it go? Thanks. Last edited by BigB; 02-08-2019 at 03:37 PM. Assume you mean this pic. On early versions of the Gen 2 (2015) control pack like mine, there was a smaller power lead in the harness that also connected to the PDB. In addition to the main battery power. You can see it coming out of the control pack harness just below the PDB mounting bolt visible in the pic. Rather than drag that wire up to the PDB, I just connected it there on the mega fuse. Same difference. As I understand, that second wire was deleted on later versions of the control pack. So if yours doesn't have that wire, don't worry about it. Last edited by edwardb; 02-08-2019 at 05:20 PM. Yep that’s what I was talking about. Thanks.